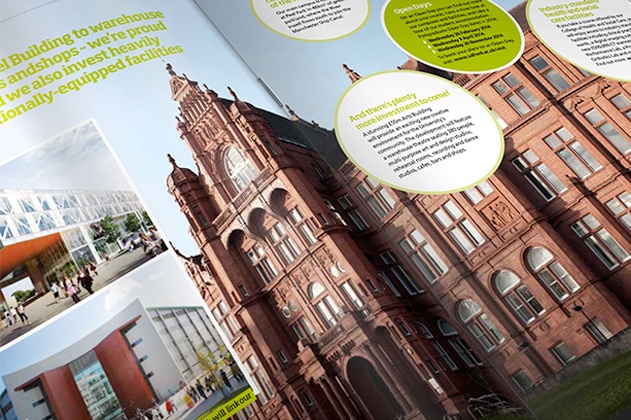 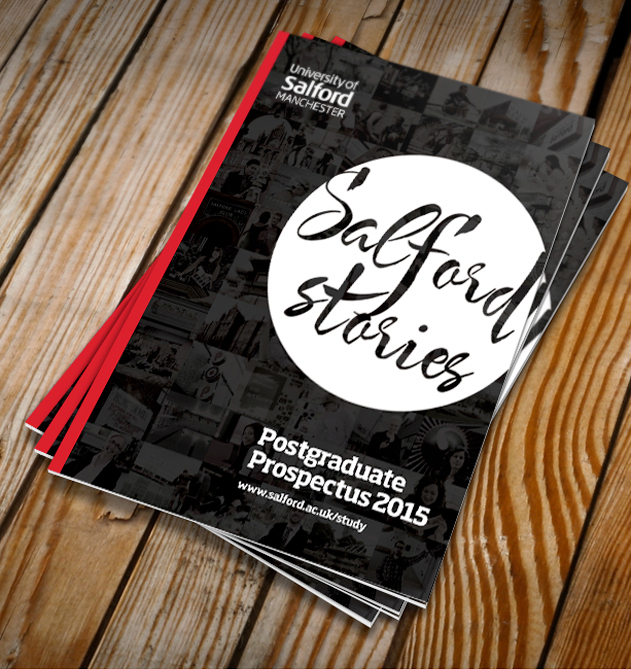 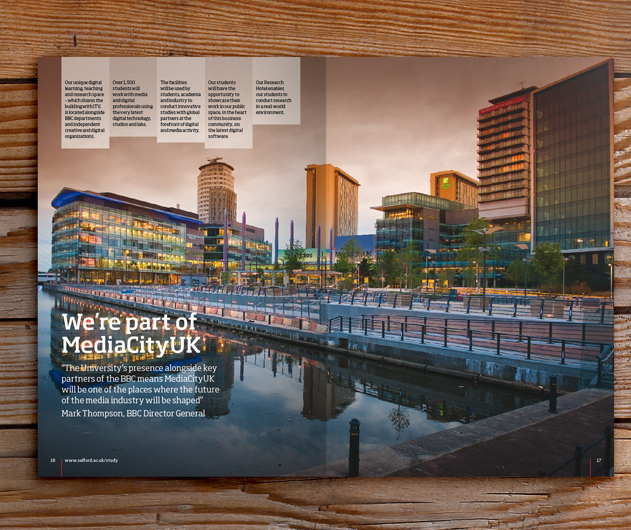 We’ve been producing quality work for the University of Salford for over eight years now. 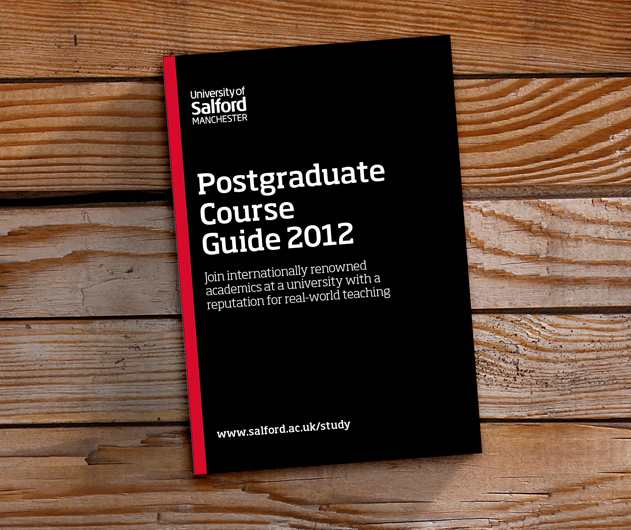 The University houses a wealth of different nationalities and demographics. 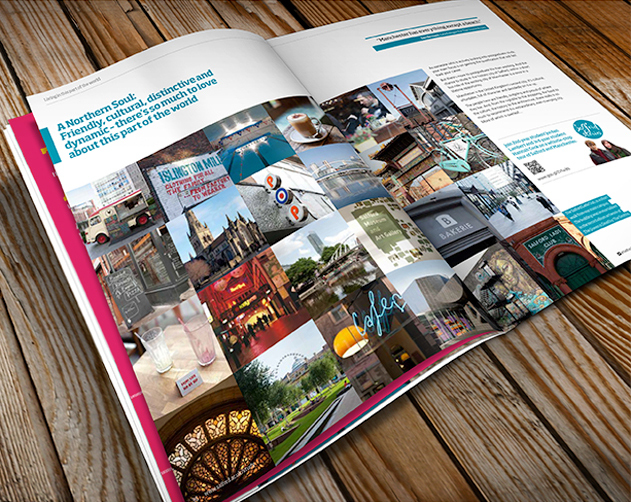 All of these are catered for in our clear, concise communications. 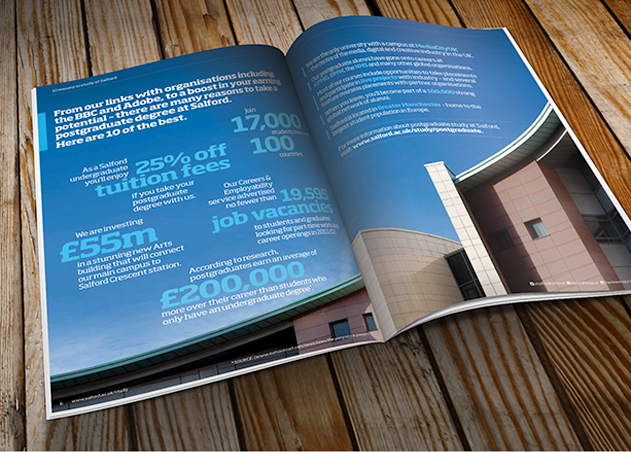 This clarity has been reinforced recently with the launch of the University’s new branding. 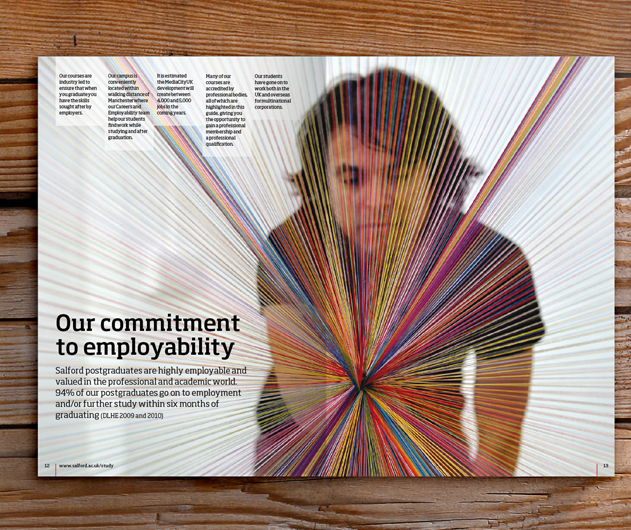 The new brand focuses on ensuring all communications have real impact, in keeping with the University’s philosophy of true depth, which stretches across all aspects of the University.